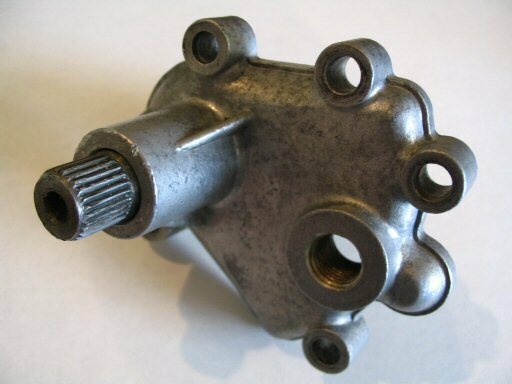 Of the very few drawbacks unique to four speed transmissions, perhaps the most annoying is the oil that leaks from the pre-selector shaft. Five speed transmissions have an O-ring to prevent such leaks. But the mighty four speed was not so blessed. Having heard of other owner's who had an O-ring recess machined in the small triangle cover, I decided to do the same. 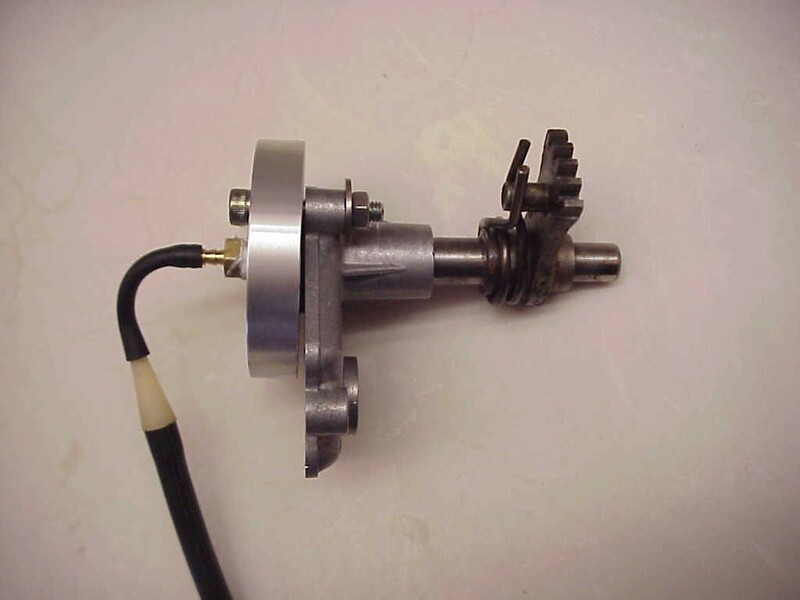 I chose to use the standard 5-speed pre-selector shaft O-ring (MG# 90706140). Here are photos of the outcome. The pre-selector shaft and casting. O-ring fit into machined groove. 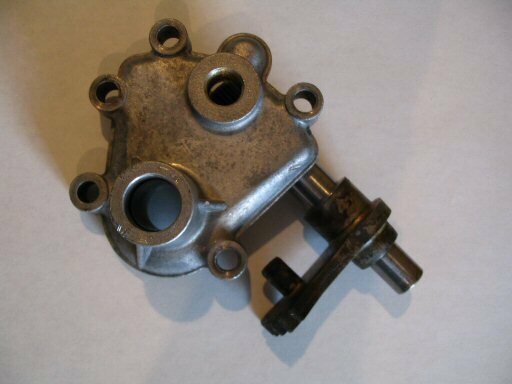 The pre-selector shaft assembled into the casting. 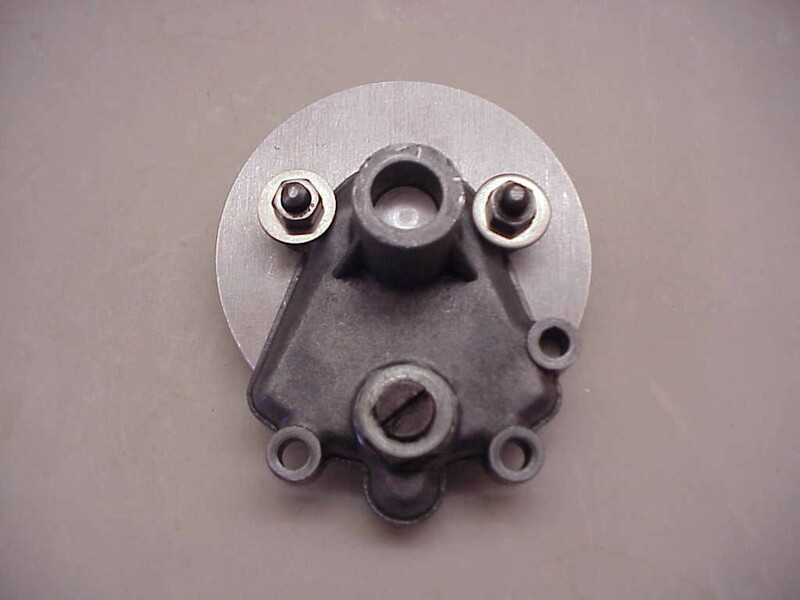 While easiest when the transmission is removed from the motorcycle, the small triangle cover may be extracted with the transmission in place. You will need a bit of patience, but it can be accomplished using a 10 mm combination wrench and 1⁄4 inch drive sockets, etc. Start with the transmission in neutral and do not rotate the shaft during disassembly, removal, or reassembly. This is also a great opportunity to replace the shift return spring. Patrick Hayes is a great Moto Guzzi enthusiast and has the machining capabilities to properly cut the needed groove for the O-ring. His work is top notch and his pricing is very affordable. I highly recommend that you use his services. 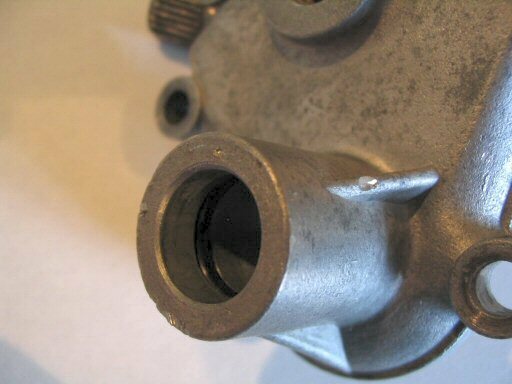 The LATHEJIG: This sets in my lathe so that the device is spinning concentric on the bore of the shifting shaft. I'll reach inside with a grooving tool and cut the necessary groove. The peripheral notch allows the user to leave the return spring eccentric bolt in place and unmolested for return to their transmission. Casting mounted within the lathe jig. The TESTJIG: I made up the test apparatus so that I could use vacuum to determine how well the O-ring works to seal the shaft. I realize the shaft is installed backwards. The O-ring doesn't care which way the shaft is. Installing the shaft this way was the easiest way to fabricate a testing tool. 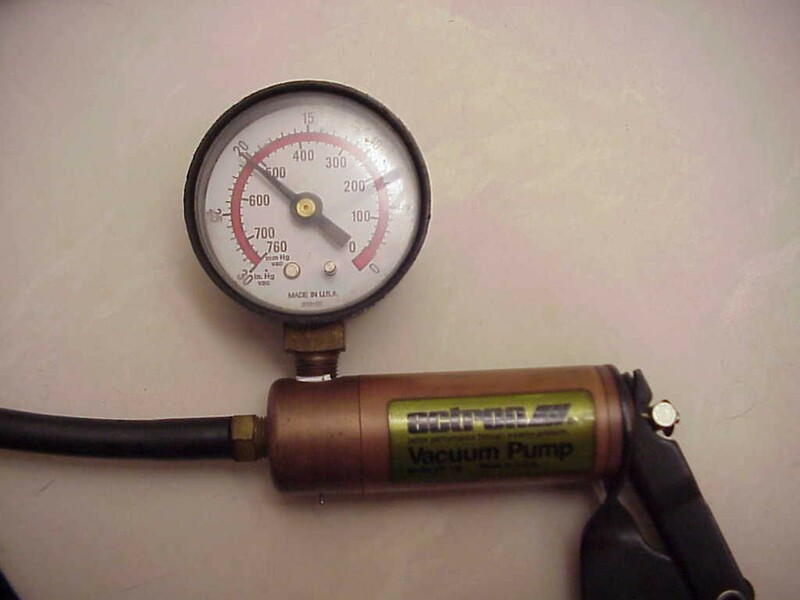 Test jig holding a vacuum. 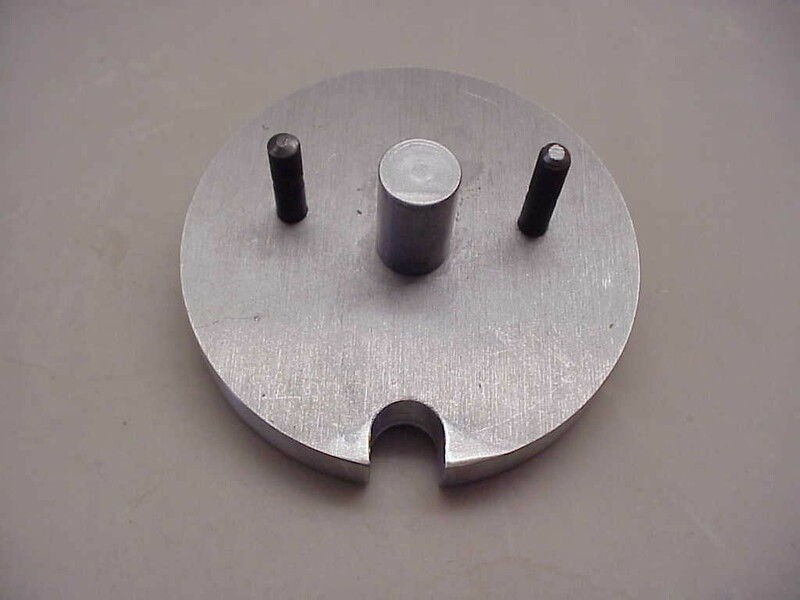 BTW, the casting in position on the testing jig is yours which has already been cut for an O-ring. I had some debate about the dimensions of the groove. As you can see, it is holding a 20 inch vacuum test and has been sitting that way without degradation for over an hour. I'd say that proves the quality of the O-ring retrofit. I've had the O-ring installed for many thousands of miles now and it has done a very good job of preventing oil from escaping through the pre-selector shaft. I consider it a very worthwhile modification.